Maimi’s usual concert joy is amplified as she received a variety of visitors at yesterday’s concert performances, which she goes into detail about in her April 29th update titled “Nakano Sun Plaza(^o^) “. Full translation below. 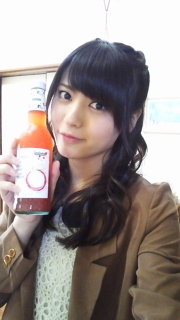 Posted on April 30, 2013, in Blog, Translations and tagged Yajima Maimi. Bookmark the permalink. Leave a comment.